As a dietary supplement, take 2 capsules 1 to 2 times daily, preferably with food. It is worth to begin an everyday supplementation with preparations containing B-vitamins as quickly as possible, especially in case of mood deterioration. 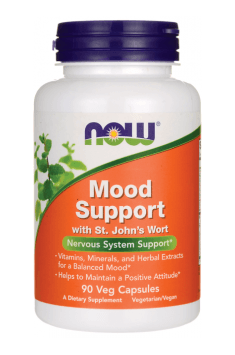 These substances positively affect nervous system and reduce the symptoms caused by neurological disorders, and their deficiencies can lead to depression and memory or concentration deterioration. Similar effects are observed in case of magnesium, zinc and manganese which are contained in the product. The components can be effective not only in case of people prone to depression or cognitive disorders but also to alleviate symptoms associated with premenstrual syndrome. Tocotrienols can help lower cholesterol levels in blood plasma by blocking the HMG-CoA reductase.